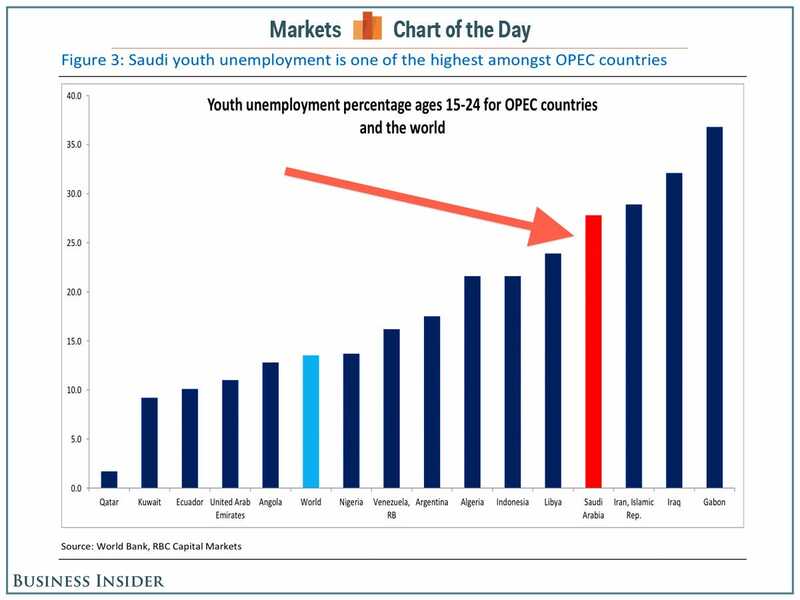 Crashing oil prices are bad news for the world’s big oil producers, in particular Saudi Arabia. In a new note to clients, RBC Capital Markets’ Helima Croft writes that falling prices come as violence spikes in the country. 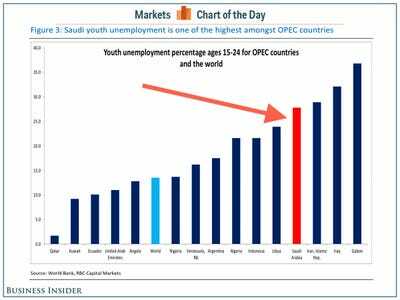 Kroft notes that the Saudi government needs higher prices to help fund programs that keep young people busy. Earlier this month, Saudi Aramco announced it was cutting the price of oil it was selling to the US, a move intended to make Saudi oil more competitive with the oil US producer are fracking from America’s shale basins. Kroft believes, however, these moves will be limited in scope as suppressing prices is bad for business and consumer sentiment in the kingdom. Oil revenue funds an estimated 80-90% of the Saudi government’s budget, so people notice when prices fall. “We maintain that the King would not sacrifice domestic and regional stability in order to punish Iran and Russia or bankrupt US shale producers,” she writes. Bottom line: Saudi Arabia is in a very tricky situation.